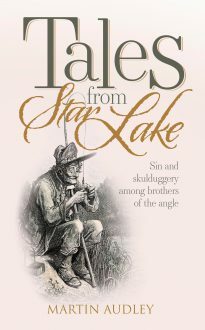 To a select band of dedicated fly fishermen, Star Lake, ‘created by man and perfected by God’, is their angling Mecca, but now the lake and its trout are threatened by none other than the villain Hardwick and the formidable wife of the ‘noble Piscator’ who recounts this tale of fish, fishing and fishy goings on. An ‘obnoxious harpy’ of terrifying strength, she is a woman who inspires terror or lust (often both) in all men who encounter her. Our hero’s only protector is his old and malodorous friend Mort, a devious and unprincipled reprobate but a man of magical skill with a fly rod. An absurd and very funny collection of tales of shenanigans among the members of an angling syndicate somewhere in middle England, ranging from a duel and a brush with the occult to the pursuit of a homicidal pig.